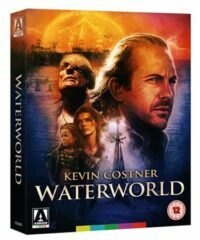 A fan-edit cut of the 1995 movie Waterworld is now available as an official Blu-ray release. 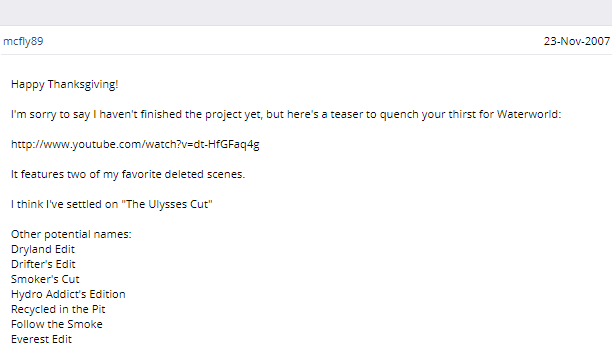 The original "Ulysses" cut was crowdsourced using extra scenes from various TV broadcasts and publicly shared on The Pirate Bay more than a decade ago. 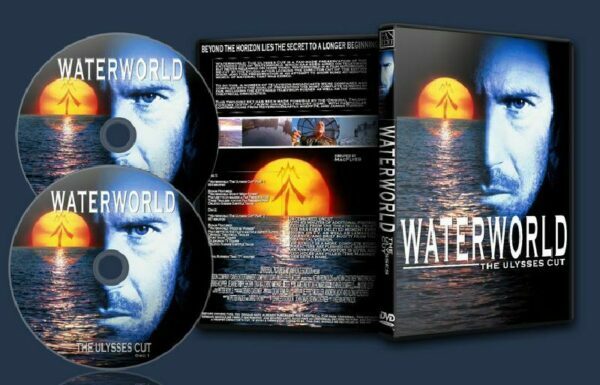 The Blu-ray has been released by Arrow Film, but whether the original 'editor' is aware of it is unknown.